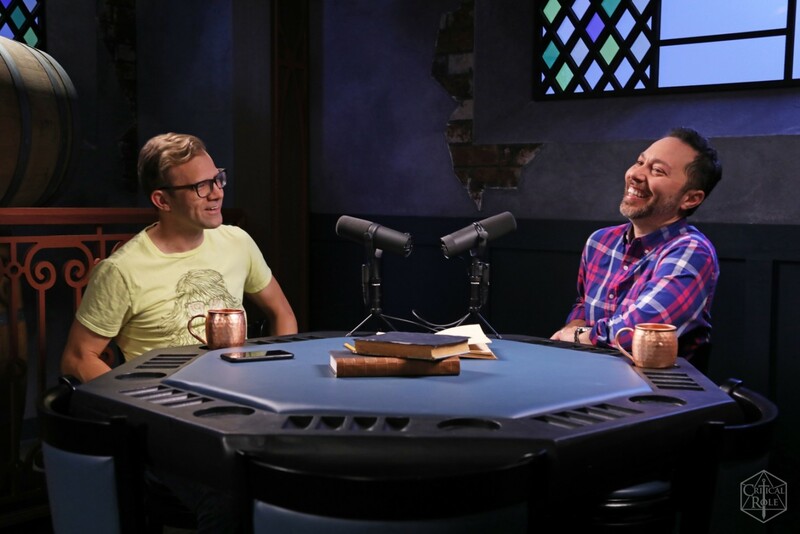 Critical Role, the enormously popular show featuring a beloved cast of voice actors playing Dungeons & Dragons, may have started in 2015, but the group began playing together a couple years prior. 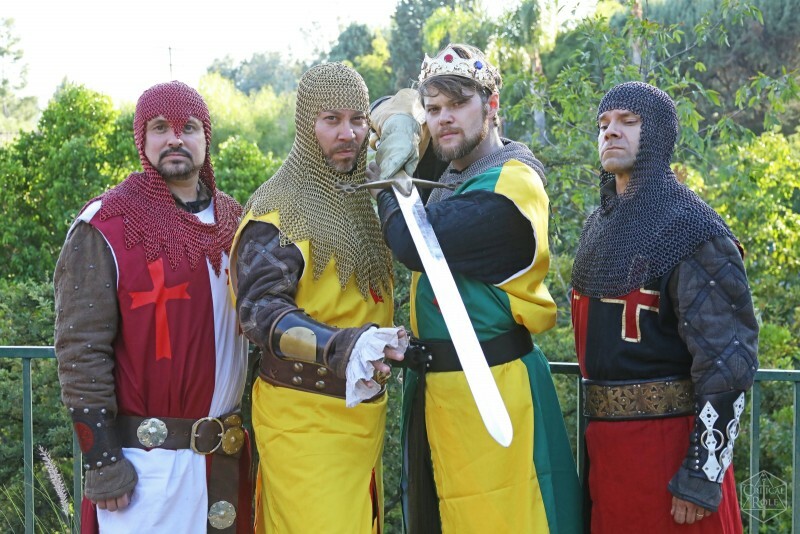 The initial idea started when voice actors Liam O’Brien and Sam Riegel discussed fellow voice actor Matthew Mercer and his skills as a dungeon master on their podcast, All Work No Play. Mercer invited the two to play a campaign with a group of friends and the rest is history. With this iteration of All Work No Play, fans not only get to hear about Riegel and O’Brien’s adventures, they get to watch them play out. 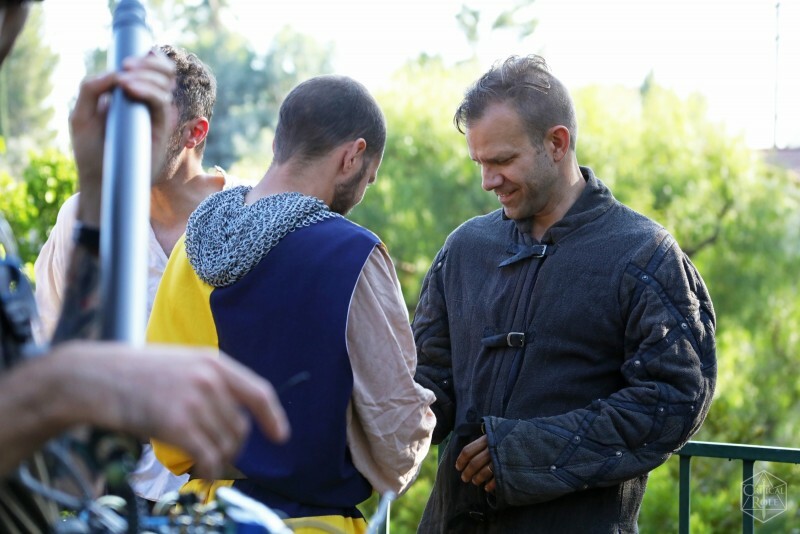 In the first episode, the two learn how to sword fight with the help of actor Will Friedle and stunt coordinator Bryan Forrest. You can see exclusive behind-the-scenes photos below. While Riegel and O’Brien have put rules on the activities they pursue, such as not being too dangerous or illegal and needing to be something they’d want to do even if they weren’t recording, the sky’s the limit for where the show will take them. When asked for dream-episode ideas, O’Brien and Riegel were quick to think big. “Trip to Japan? Zero gravity flight? Night in a haunted asylum. Man, I could spitball forever,” O’Brien says. O’Brien agrees, but he has a few caveats. “As long as it’s fun to do, won’t put us in mortal peril, or get a ghost pepper anywhere near my voice box, I’m game,” he says. The first episode of All Work No Play aired on the Critical Role Twitch channel this past Friday. If you missed it, you can watch it in full below. All Work No Play is set to air on Fridays at 7 p.m. Pacific on the Critical Role Twitch channel. Immediately following the airing, Twitch channel subscribers can access the video-on-demand version, with everyone receiving access through the Critical Role YouTube channel on the subsequent Sunday at 10 a.m. Pacific. In addition, one week later, All Work No Play will be made available in podcast form. For more on Critical Role’s rise to prominence, check out our interview with various members of the cast here.